Disney World can feel like one big ATM if you let it. 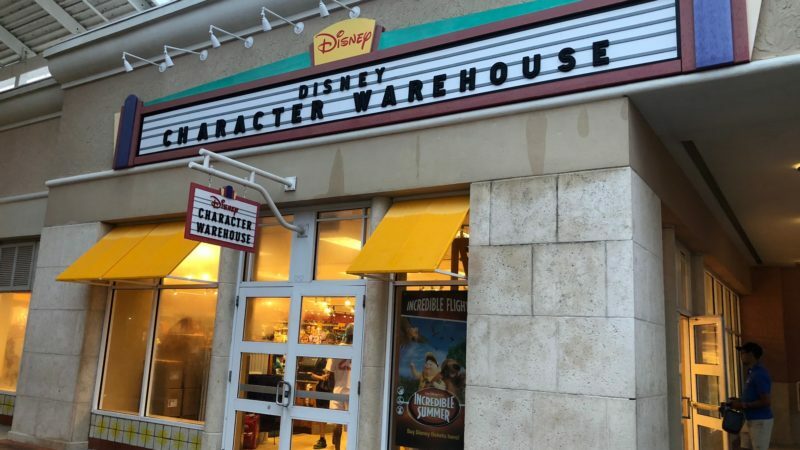 After the tickets, resort rooms, and meals you might not have any left for souvenirs…but I have found a way to save a bit at the House of Mouse: Disney Character Warehouse. The official Disney outlet locations are jam-packed with souvenirs at up to 75% off. Even better, one is right outside Disney World gates! It’s funny how after spending thousands for Disney park tickets, hotel and meals that it’s the $34 T-shirt that sends me over the edge. I just can’t bear the park prices for souvenirs! Thank Goofy I’ve found the Disney outlets. These are Disney-owned stores, not knockoffs, right in Orlando. I’m happy to share my discoveries with you. If you’re short on time or need to take an Uber, the best location is Disney Character Warehouse at Orlando Premium Outlets (8200 Vineland Avenue, Suite 1252). It’s right across the street from the Disney Springs entrance to Disney World. However, if you’ve got a car and a bit more time, the trip to the International Drive outlets location (4951 International Drive, Orlando) is worth the effort. Because it’s a bit further afield, the Disney Character Warehouse on I-Drive tends to get picked over less quickly. The kids and I hit both recently and found them to be well stocked…and well worth the visit! We stocked up on tees from $4 and tons of out-of-season but still perfectly useful items at giveaway prices.We also found Magicband bling- $13 at the parks- for $1.99. I grabbed a bunch of those for gifts to give to Disney loving friends. I gave each of my kids $10 to spend. My son updated his Vinylmation collection for $4 each ($14 at the parks) and my daughter picked up a Perry the Platypus pillow pet for $10 that is $33 on site. What’s also nice about the Disney Character Warehouse is that you can find some amazing discounted collectibles and high-end items. I see Dooney and Burke and Vera Bradley purses every time I visit, usually at half off retail. Last visit I got an amazing Mickey Leather Bomber jacket at a steal. Be sure to look in the display cases and shelves behind the counter. I have been able to get some one-of-a-kind items from sold-out Disney special events such as Star Wars weekends. The Disney Character Warehouse carries pin starter sets of 6 or 8 for $12.95 to $16.95, which is an absolute steal compared to the parks. If your kids are into pins, get ANY cheap ones you can find and the cast members on site have to trade them! Many of the park gift shops (especially in the hotels) have entire books of pins just for trading. No worries if your kid starts with 20 “2016 marathon” pins you got for $3 each. Speaking of pins, we have a holiday tradition in our family involving Disney pins. When the kids were 4 and 7, their Christmas surprise was a trip to Disney World. To get them in the spirit the “Elves” put a daily Disney pin into their advent calendars. The kids are now 11 and 15 and still look for the pins every December morning. Thank goodness for the Disney outlet so the Elves can stock up on the cheap! New to Disney Pin Trading? 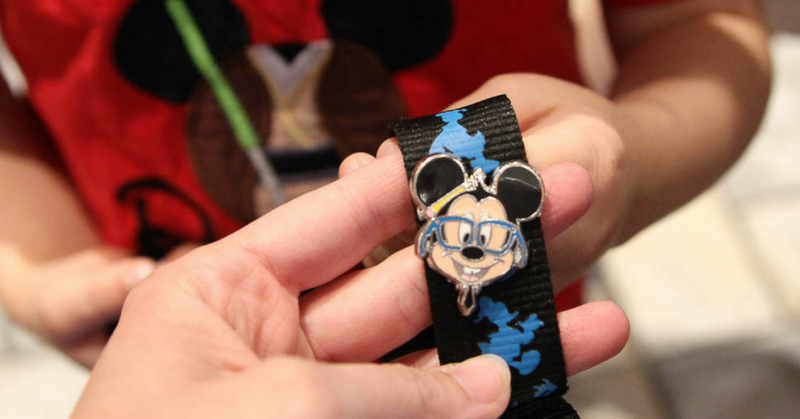 Check out Traveling Mom’s Tips for first time pin traders. If you’re near a local Disney outlet, it’s definitely worth a look. An interesting bit of trivia: Disney tends to stock merchandise from parks farther away from the location. For instance, the outlets near Washington DC are often chock full of special event tees, toys, and knick knacks from Disneyland. I always keep an eye on shopDisney sales as well. During “Friends and Family” sales shopDisney offers free shipping with no minimum and items as low as 99 cents. Basin (Grand Floridian and Disney Springs) is famous for their by-the-slice soaps shaped with Mickey and many other Disney themes. Next to the register you’ll find little bags of soap remainders at half price (usually around $3) that are perfect for stocking stuffers or hostess gifts. Uniqlo, in Disney Springs, is a Japanese H&M/Old Navy type clothing store. However, their merchandise is universally good quality. Even better, each store does a line of merchandise unique to the location. In this case, the store has hundreds of unique Disney tees, most under $15. The style and fit factor are also amped up a notch over your typical T-shirt. You’ll even find characters not often seen. Last time I saw Up! and 101 Dalmatians. When was the last time you saw an Up! T-Shirt? 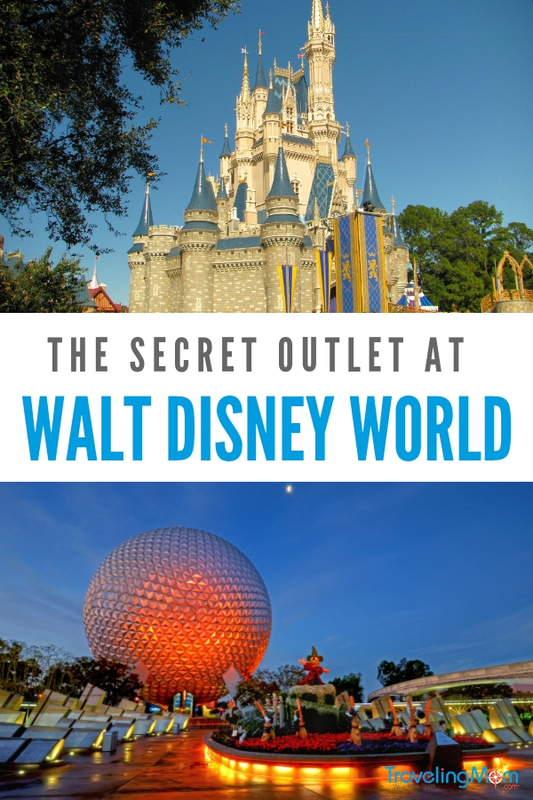 What are your best Disney outlet finds? Please share in the comments. I heard that you could also buy yard decorations like for Halloween and Christmas, is this true? We are going in July and hope to be able to get some of these type items plus souvenirs. Inventory varies widely but I have definitely seen items like flags and other outdoor stuff. Being there in July should get you some great deals on off-season stuff if they still have some left over. You say it’s just outside Disney gates but Google Maps puts it over 11 miles away. Is there one closer that I am not seeing? Disney is 46 square miles so it depends exactly from where you are searching. The closest one is at the Orlando Vineland Outlet Mall, which is near the Disney Springs entrance. Thanks. When you say near, can I walk to it? No, you can’t. It’s at the Premium outlet mall about a 15 min trip. You’ll need to take a Lynx bus or Uber if you don’t have a car. I’m a regular shopper at Character Warehouse. Down here it’s NO secret. I’ve bought the Mickey ear flamingo, tea pot, purses, shirts, and all sorts of misc there. Seasonal things don’t normally appear until after that season. You might find Halloween in Nov and Dec, for instance. I’ve seen some merchandise that is also still for sale in the parks. If you just want 1 tee, it’s not worth it. Thanke you very much for let me now what you wrote.i learn from you things that i didnt new. So now i will be prepped better for disney. Do you know by chance if these outlets donate product to charities such as schools for silent auctions? Good question! 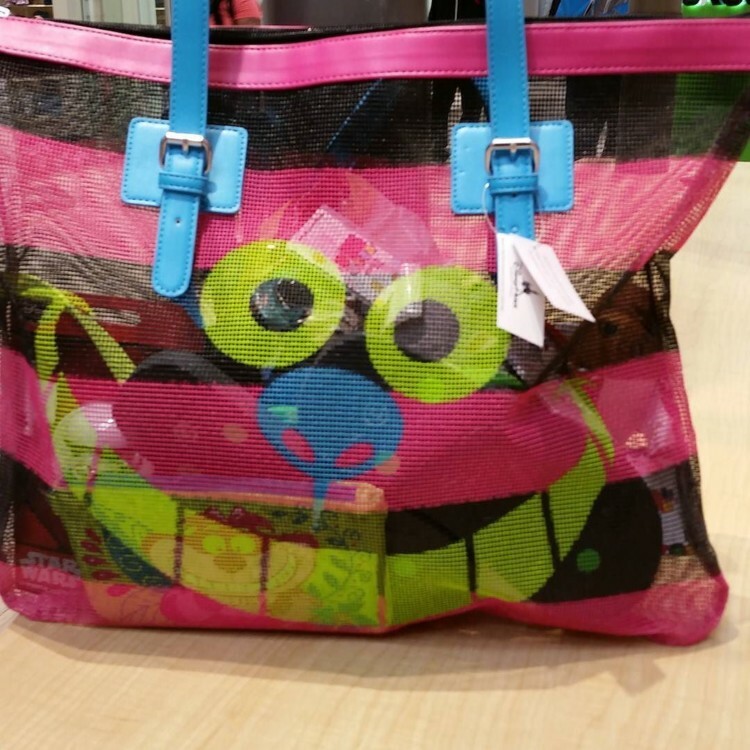 I need to make a Disney basket for a silent auction. “Right across the street” is not just misleading, it’s wrong. You’ll need a ride to get there from Disney Springs! Thanks for your comment. Disney World is 40 square miles, so I think that anyone who understands that also understands that people need a car or an uber to get almost anywhere that is not on Disney Transportation. Trading fake pins is dishonest. I really object to this article encouraging trading fakes. 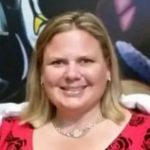 You recommend that people should “get ANY cheap ones you can find and the cast members on site have to trade them.” Plus, you’re inaccurate by saying cast members have to trade authentic pins away for fakes. They can refuse. If you didn’t mean fakes by saying “ANY,” you need to warn people against purchasing and trading fakes. You’re trying to help people, and that I appreciate, but please consider that your article might add to the ruin of pin trading. Thanks for your comment. I understand that fake Disney pins are a touchy subject. Considering the article is about Disney outlets, I encourage people to buy pins at the outlets, and that nowhere in the article do I mention either where or how to buy fake pins, I’m not sure I understand your concern.